An original 1950s Conchiglia glazed ceramic lamp in the form of a conch shell. Societa Ceramica Italiana di Laveno. Signed. 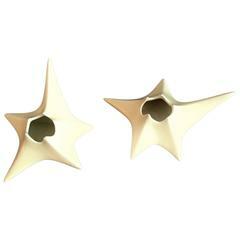 A wonderful pair of original 1950s ceramic candleholders by famed Italian artist, Antonia Campi. Signed. 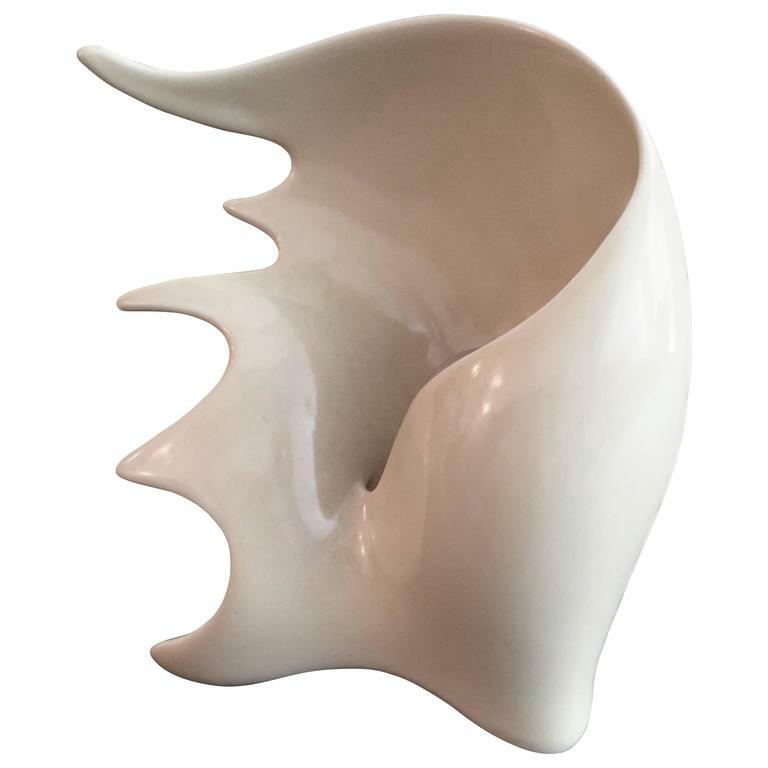 An original 1950s handmade sculptural pottery piece made by the Italian artist, Antonia Campi. 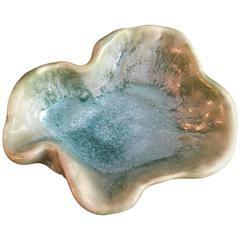 An original 1950s pale green with a slight crystalline glaze bowl by famed Italian artist, Antonia Campi. Signed. A geometric elm lamp, with a rotating ivory enameled light, Italy, circa 1955. 1950s Italian glass and brass table lamps.